In the ever-growing landscape of voice-enabled artificially intelligent assistants, Amazon's Alexa remains the one to beat. The company has made a huge push to get people to buy Alexa-equipped devices, and at this point, you or someone you know undoubtedly uses one. Still, plenty of folks remain unconvinced that having an always-listening speaker isn't a creepy invasion of privacy, and now, they may have a stronger stronger case to make. A new report claims Amazon employs a team of thousands to listen to what people are telling Alexa. In an effort to improve the software that powers Alexa, Amazon reportedly employs thousands of people around the world to listen to voice recordings captured by Echo devices, according to new reporting from Bloomberg. The recordings are transcribed and annotated, then fed back into the software as a way to help fill in the gaps of Alexa's understanding of human speech, slang, and the like. So, if you've ever wondered if anyone's ever heard something you've said to your Echo or Echo Dot, the answer is... maybe. The people listening to the recordings are a mix of contract workers and full-time Amazon employees scattered around the world, from Boston to Romania, and go through up to 1,000 clips on a typical nine-hour shift, per Bloomberg. Though the workers are barred from speaking publicly about the program, Bloomberg spoke with seven of them who described their day-to-day as mostly sifting through "mundane" commands. However, some said they do occasionally come across recordings of things you probably wouldn't want a stranger hearing, like a person singing badly in the shower, or a kid screaming for help. When someone wants help clarifying unintelligible words, they can communicate via internal chat rooms, though those are also reportedly used to share recordings fellow workers find funny. One of the more troubling revelations in the new report relates to what happens when a worker stumbles across a recording they find troubling or even potentially criminal. For instance, two workers claimed that they once listened to a recording of what they believed to be a sexual assault, but were told it wasn't Amazon's job to interfere when they asked what to do, despite the fact that the company says it has "procedures in place" for when workers come across such a situation. The workers said they also occasionally hear sensitive information such as names or bank details. When that happens, they're supposed to tick a special box labeled "critical data" and skip the recording, according to the publication. In response to Bloomberg's reporting, an Amazon spokesman said that the company only annotates "an extremely small sample" of Alexa voice recordings and that it has a "zero tolerance policy for the abuse of our systems." It also says that workers who are listening do not have direct access to information that can identify the user. 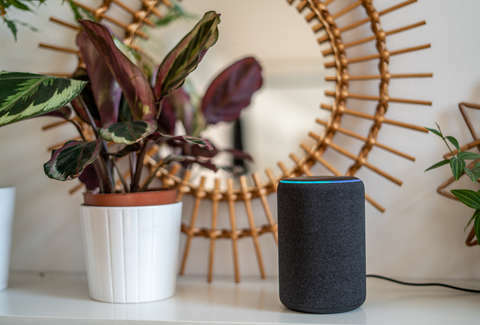 Users do have the option to disable the use of their voice recordings for the development of new features via Alexa's privacy settings, though even if they do opt out there's a chance that they may still have their recordings analyzed "over the regular course of the review process," according to Bloomberg. There's no evidence that any audio files have ever been distributed beyond Amazon internally or used in any nefarious manner, but it's certainly worth remembering that even when you're home alone asking Alexa what the weather's like or singing along to Ariana Grande... someone halfway around the world might hear it some day.